MedStar Medical Group at Gaithersburg (Gaithersburg) - Book Appointment Online! MedStar Medical Group at Gaithersburg is a primary care practice. We provide comprehensive and compassionate care for newborn infants through geriatric adults. 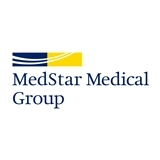 We are part of MedStar Health, a not-for-profit, regional healthcare system with ten hospitals, including MedStar Southern Maryland Hospital Center, MedStar Georgetown University Hospital, MedStar Washington Hospital Center and more than 20 other health-related services in Maryland and the Washington, D.C., region. MedStar Health's patient-first philosophy emphasizes service, quality and safety, combining compassionate care and clinical excellence. More than a half million patients trust their care to MedStar Health each year. We accept most major healthcare insurance plans. If you do not see our name in your provider directory, please call your insurance carrier. Dr. Deva produced a thorough review for this first time appointment. Excellent Doctor! Friendly and responsive!